In the late 1950s and early 1960s, a small New York record label named Fleetwood Records released a series of rock and roll, doo wop, and instrumental 45 singles by a roster of artists primarily drawn from the Northeast. 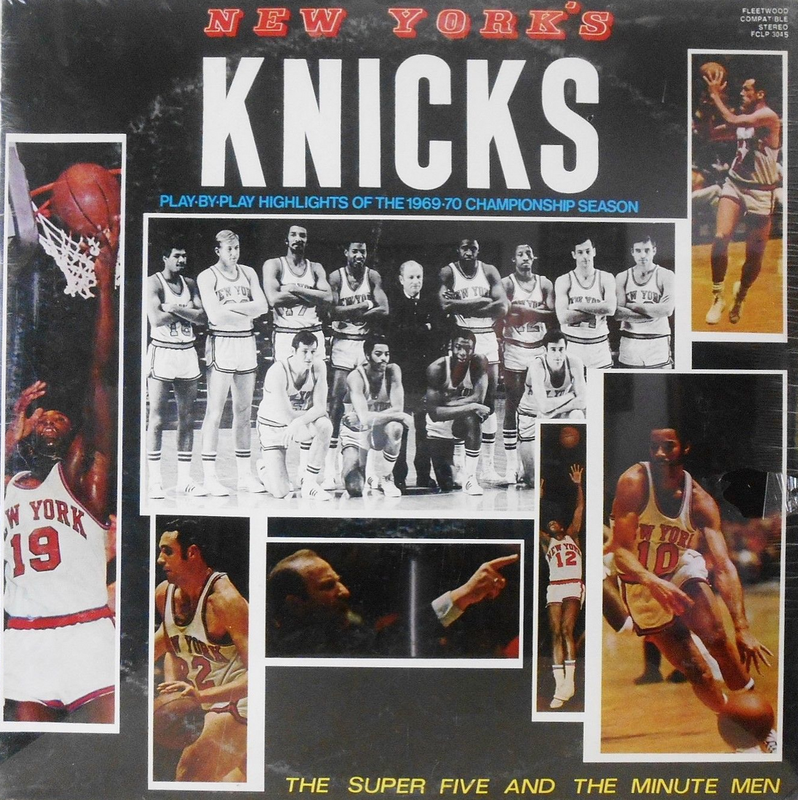 Groups included The Mighty Five, Bob Vidone and the Rhythm Rockers, Hap Snow’s Whirlwinds, The Strings, and The Candies. 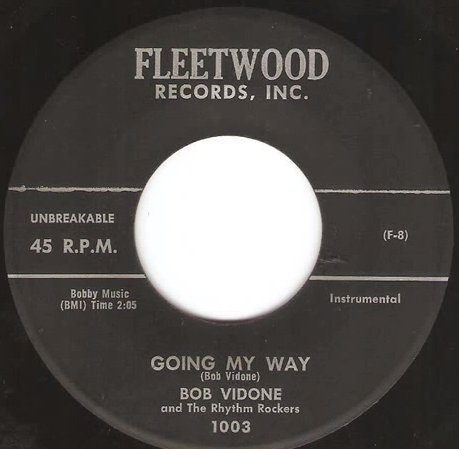 Another early single on Fleetwood was released by Bob Vidone and the Rhythm Rockers, #1003, “Going My Way,” with “Weird” on the flipside. 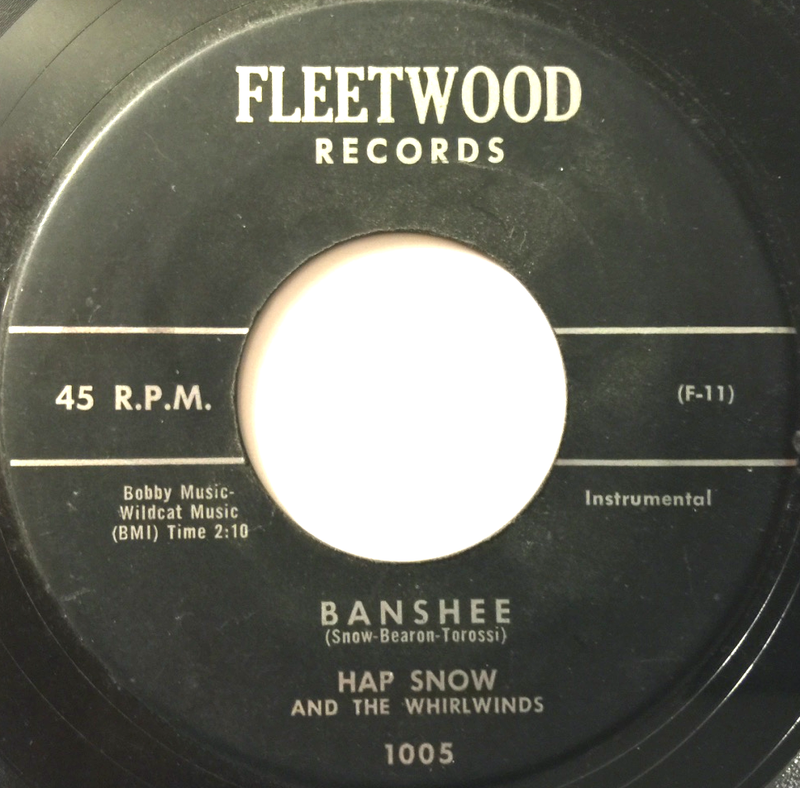 In 1959, Fleetwood released single #1005 by Hap Snow & The Whirlwinds, “Banshee,” with “Bottoms Up.” The A-side was written by guitarist James K. “Hap” Snow, pianist Art Bearon, and drummer Stefano Torossi. The three, joined by the senior member of the band, sax player Harry Lewis, recorded both sides of the single at Ace Recording Studios in Boston, Massachusetts. 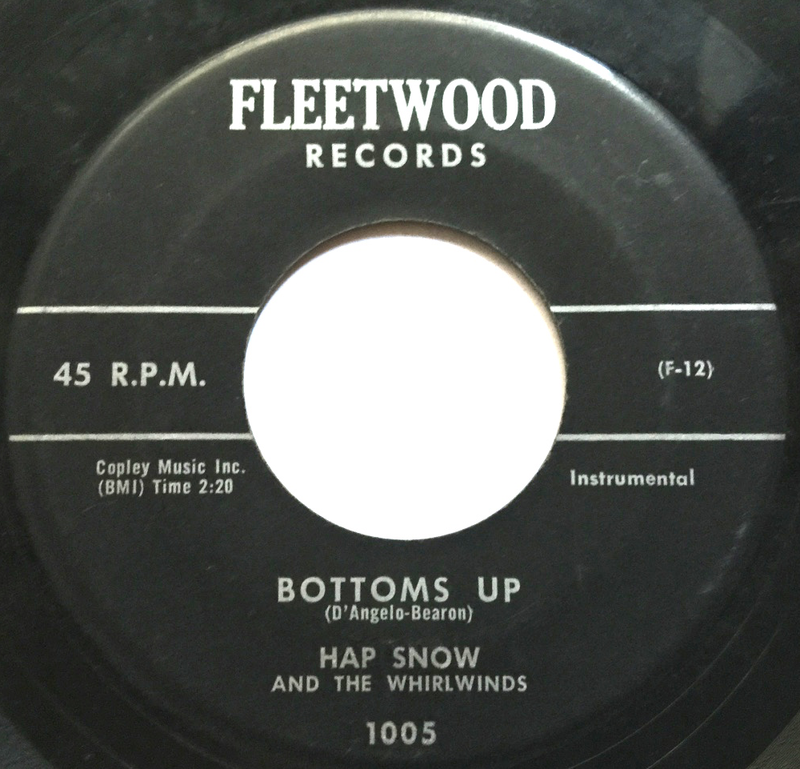 “Bottoms Up,” the B-side of “Banshee,” was recorded in the same 4-hour session at Ace Recording Studios. However, with the first three and a half hours devoted to upwards of twenty takes of “Banshee,” the B-side by Art Bearon (and an unexplained co-writing credit given to a certain “D’Angelo” that none of the participants remembers any details about) was done quickly recalls the band founder Hap Snow. 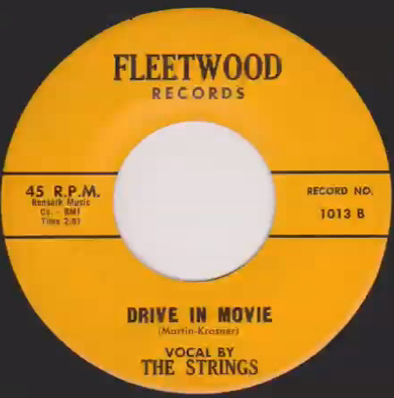 Besides rock and roll instrumentals, Fleetwood Records of New York also released some doo wop singles including “Drive In Movie” by The Strings, composed by Martin and Krasner. 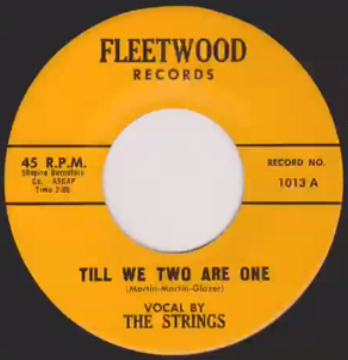 The 1960 release, #1013, included the vocal “Till We Two Are One,” credited to Martin, Martin, and Glazer, on the B-side. 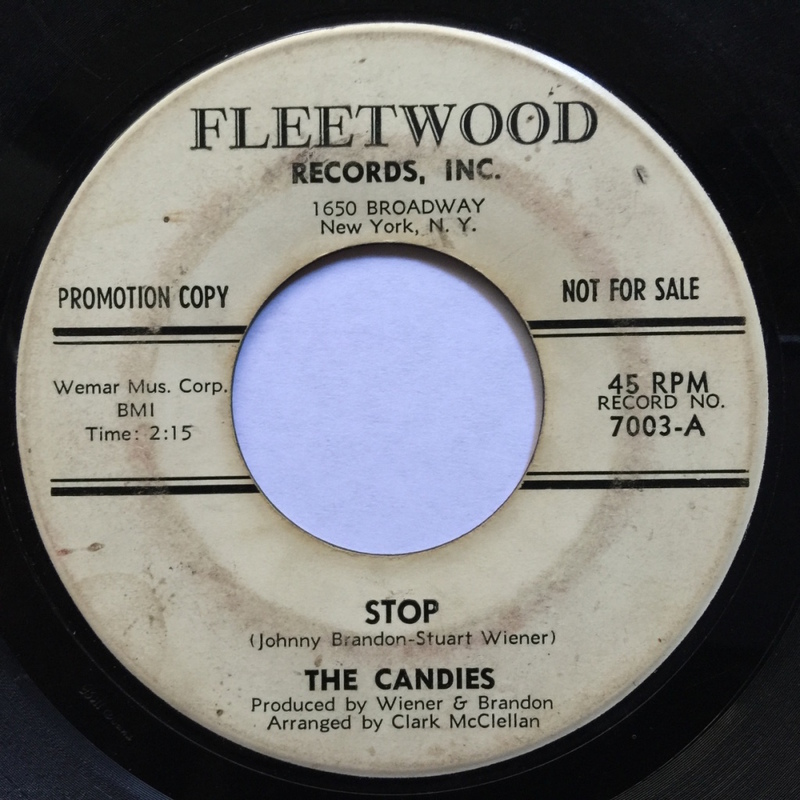 Fleetwood Records released singles by girl groups, as well, including The Candies’ “Stop,” written by Johnny Brandon and Stuart Wiener. The same composers did the B-side of #7003, “If You Wanna Do A Smart Thing,” each arranged by Clark McClellan on the 1960 single. In recent years, several of these late 1950s-early 1960s Fleetwood 45s have appeared on auctions sites including eBay. They don’t pop up often but when they do, the cost is usually not too exorbitant. 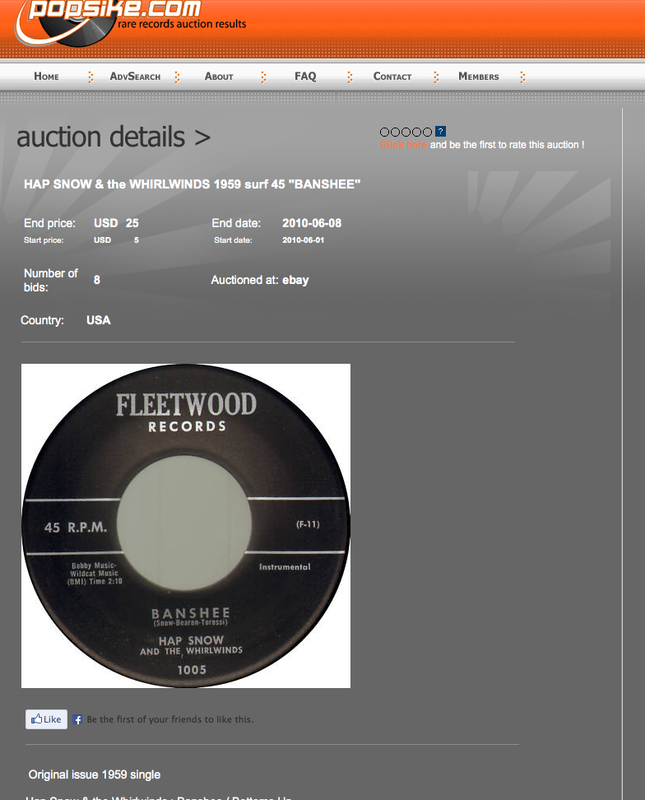 For example, a copy of “Banshee” by Hap Snow’s Whirlwinds was sold for $25 on eBay in June 2010 and again for a similar amount on eBay in June 2014. 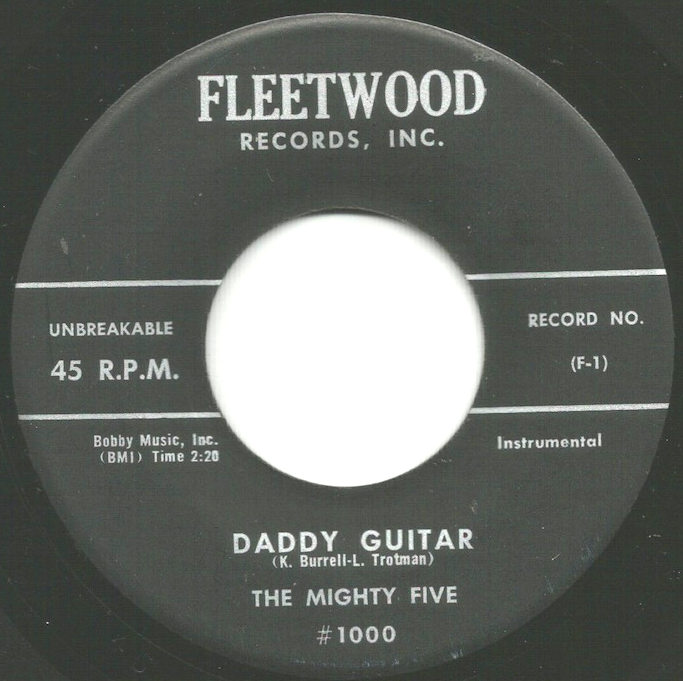 Fleetwood Records in New York is sometimes confused with another record company with the same name from 1958 to 1975, also located in the Northeast part of the United States. 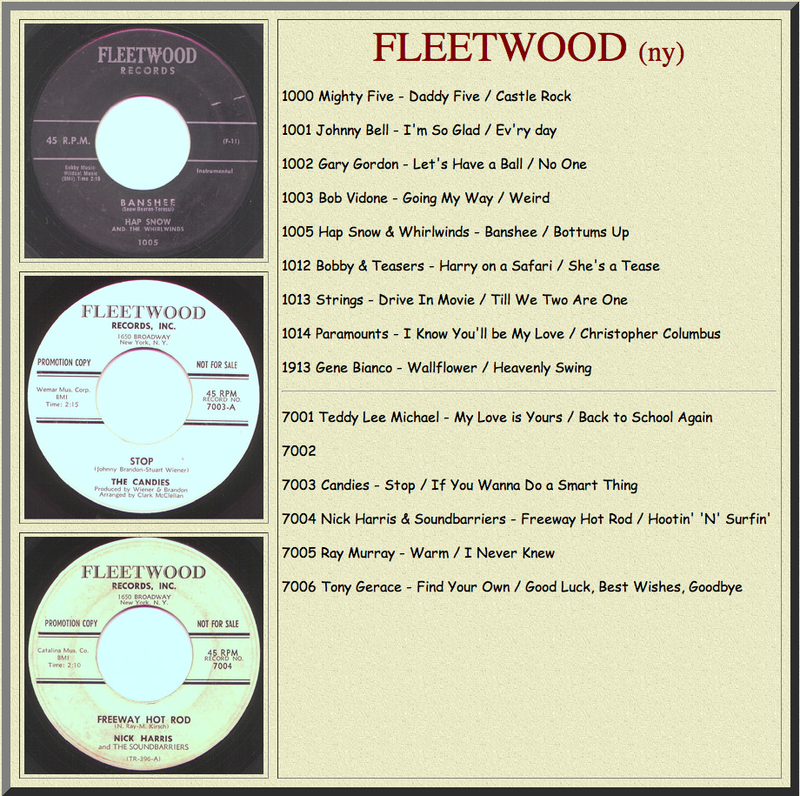 The Fleetwood Records located in Revere, Massachusetts, specialized in non-music albums including sports, auto racing sounds, and historical events, in addition to drum and bugle corps releases. 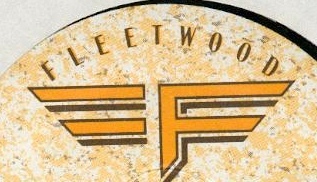 In fact, another Fleetwood Records, a second one based in New York, released a series of dance singles in the mid-1980s. This entry was posted in New England Music and tagged 1950s rock, 1960s rock, Art Bearon, Bob Vidone and The Rhythm Rockers, Fleetwood Records, Hap Snow's Whirlwinds, Harry Lewis, instrumental music, James K. Snow, rock and roll music, Stefano Torossi, The Candies 1960s girl group, The Mighty Five 1950s 1960s rock band, The Strings 1960s rock band. Bookmark the permalink.